Emily Morris teaches ‘Latin American Economics: Beyond Neoliberalism’ and ‘The Transformation of Cuba’, and contributes to teaching the Economics and quantitative components on other courses, including ‘Researching the Americas’ and ‘Globalisation and Latin American Development’. 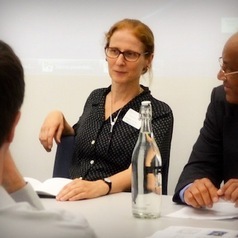 Emily Morris’s research focus is on recent economic history and contemporary debates on the political economy of development, in Latin America and the Caribbean. Her doctoral thesis was on Cuban economic policy and performance after 1990, and she continues to do academic research and write for academic and commercial publications, and undertake consultancy work, on current developments in Cuba. She is also doing research on sustainable development strategies – including energy and transport policies – in the region.